The “Dales Tales” anthology is out now! 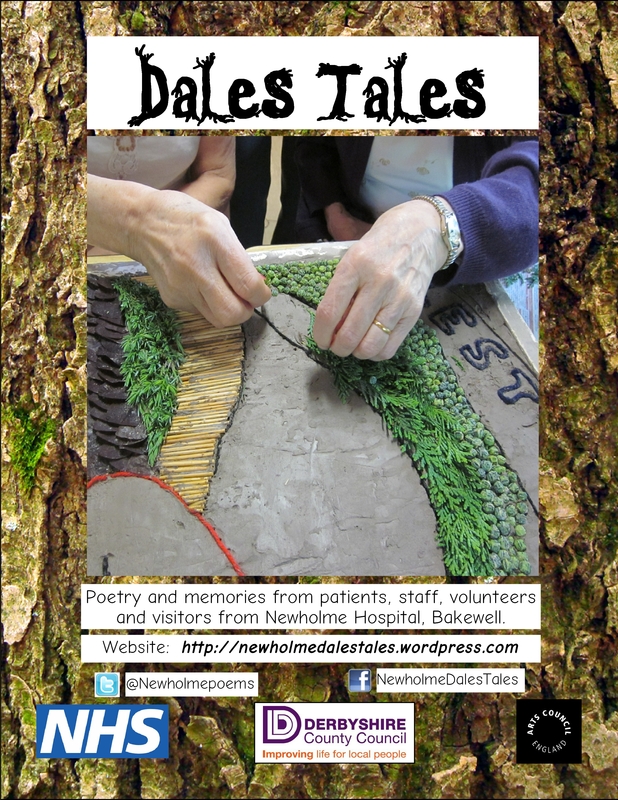 It features poems and creative writing written during workshops and sessions run by tutor Anne Grange at Newholme Hospital from autumn 2013 – summer 2014. Some of the pieces are group poems, created at the hospital, sometimes with the help of a ukulele. Some of the poems are written by Anne, using her own notes on comments, conversations and discussions during her sessions at Newholme Hospital. Working in an NHS setting, patient confidentiality is important, so Anne has developed a way of working creatively around this issue. The book is now available as a paperback and an e-book, and the poems will be “toured” around Derbyshire in the Autumn, working with more NHS patients, staff and visitors. Buy it here! All proceeds go to the Friends of Newholme Hospital. Just click here!